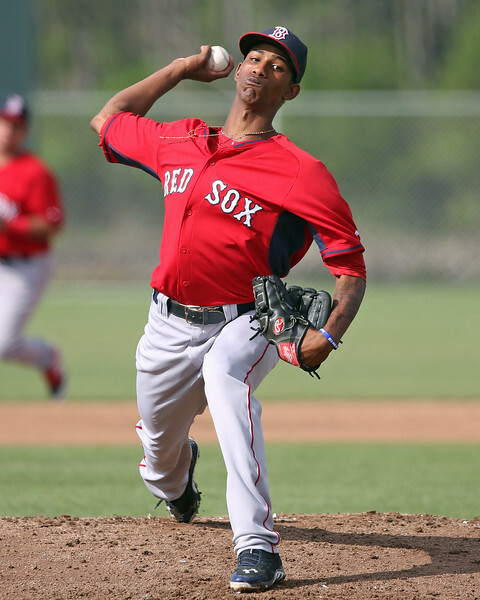 The 2016 SoxProspects.com All-Stars were announced last week, headlined by second baseman Yoan Moncada, outfielder Andrew Benintendi, third baseman Rafael Devers, and starter Michael Kopech. After going 4 for 19 with 12 strikeouts in Boston, Moncada was reassigned to the minor leagues. He will now prepare for the Arizona Fall League, which begins on October 13. Alex Speier of The Boston Globe compared Moncada's initial struggles with those of Hanley Ramirez back in 2005, when Ramirez was called up to Boston but only got two at-bats and struck out in both. Speier talked to Ramirez about what advice he had for Moncada. While in Boston for David Ortiz's last game, MLB Commissioner Rob Manfred told reporters that the Red Sox declined the option to rescind the Anderson Espinoza for Drew Pomeranz trade after it was discovered the the Padres withheld relevant medical information. Israel went 3-0 in the Qualifying Round of the 2017 World Baseball Classic (WBC) as it earned a spot in the WBC for the first time. Mike Meyers came in as a defensive replacement in the clinching game last Tuesday, while free agent Cody Decker launched a home run and free agent Nate Freiman drew two walks. The Portland Sea Dogs released their 2017 schedule last week, with the season opening at home on April 6. Baseball America is in the midst of releasing their top 20 prospects for each league. So far the Red Sox have Luis Alexander Basabe ranked ninth in the South Atlantic League, Lorenzo Cedrola ranked 18th in the Gulf Coast League, and Bobbly Dalbec, C.J. Chatham, Tyler Hill, and Josh Pennington ranked ninth, 13th, 15th, and 16th, respectively, in the New York-Penn League.